A global festival of fashion! 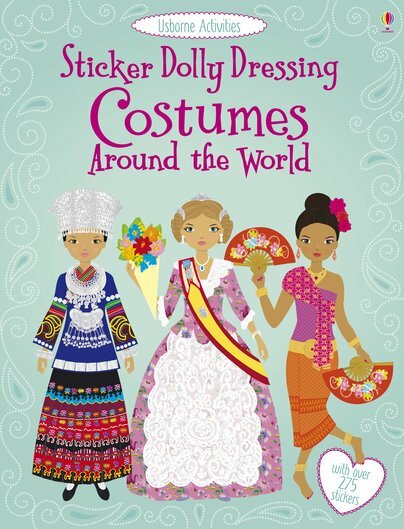 Dress these pretty dollies in traditional festive outfits from all around the world. There are silk kimonos from Japan, and the bright and beautiful saris of India. 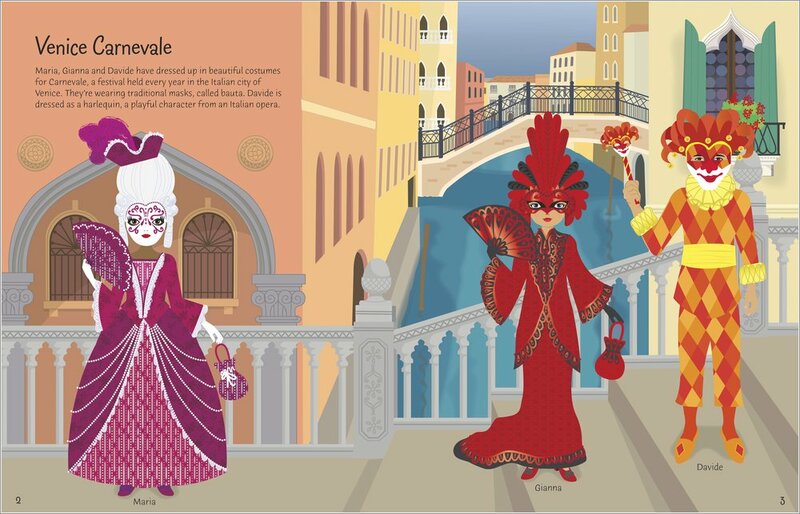 There are pretty patterned Nigerian bubus, flamboyant flamenco costumes, and the famous carnival masks of Venice. 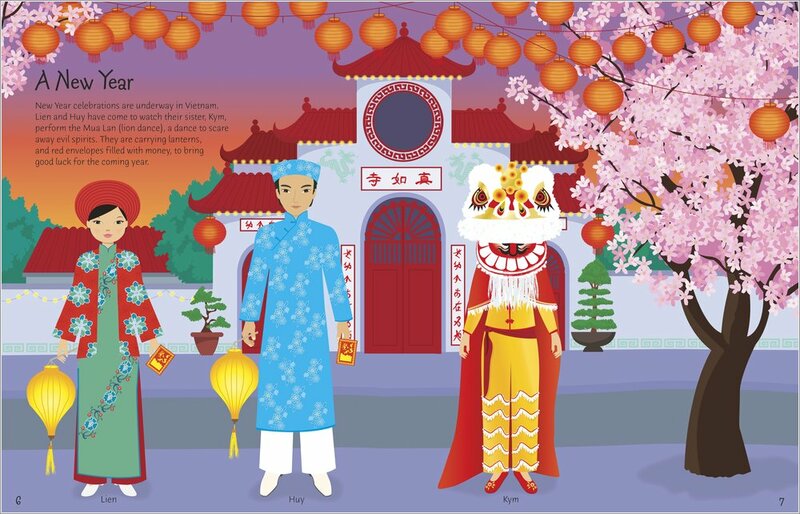 This is dressing-up with a difference, full of round-the-world looks to mix and match. Take inspiration from every country, then combine the styles in your own unique way. 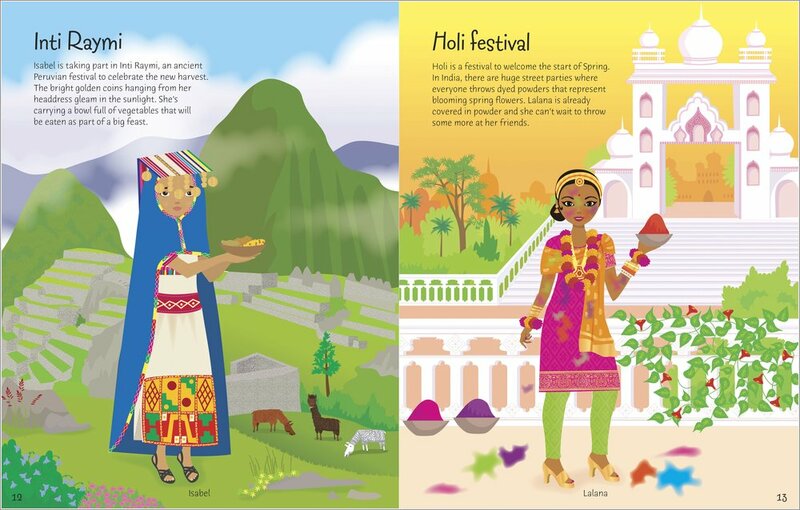 The pictures are clear and beautifully animated and it gives away different religion celebrations which people would love to know and could take in for RE lessons. It’s very different to other books I read but I like it.